Ready for comfort food with some bright carrots? (Is that really a question?). We made this last night for a family Valentine’s Day dinner. My was in town visiting and we had just come home from a wonderful museum tour (if you’re ever in Louisville, check out the Conrad-Caldwell Castle). It was a cold day, and by the time we got back we were all a little wiped from being on our feet. We (ok Shoe) whipped up this meal and it was a crowd pleaser. It’s also an easy meal to make vegetarian if you cut the chicken. 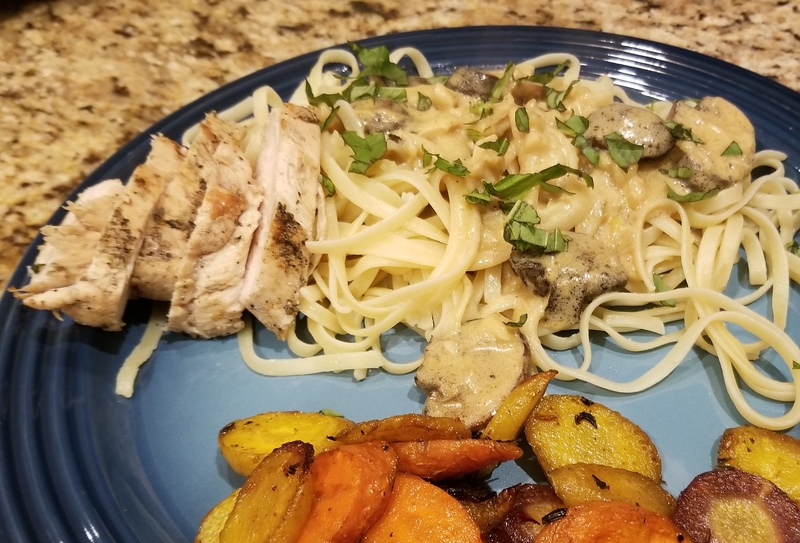 When you want comfort pasta, but you aren't feeling like red sauce and you also don't want to eat a gluey-thick alfredo sauce... this is the perfect dish. Star boiling water for pasta. Grill chicken until cooked, wrap in foil to keep warm, and set aside. Slowly add vegetable stock and half and half to the mixture and simmer until thickened. Stir constantly. Watching calories but hungry and want tacos? Don’t we all?! This dish is super simple and VERY low calorie. We’re talking 500 calories for SIX tacos. AND you can have cheese. For real. 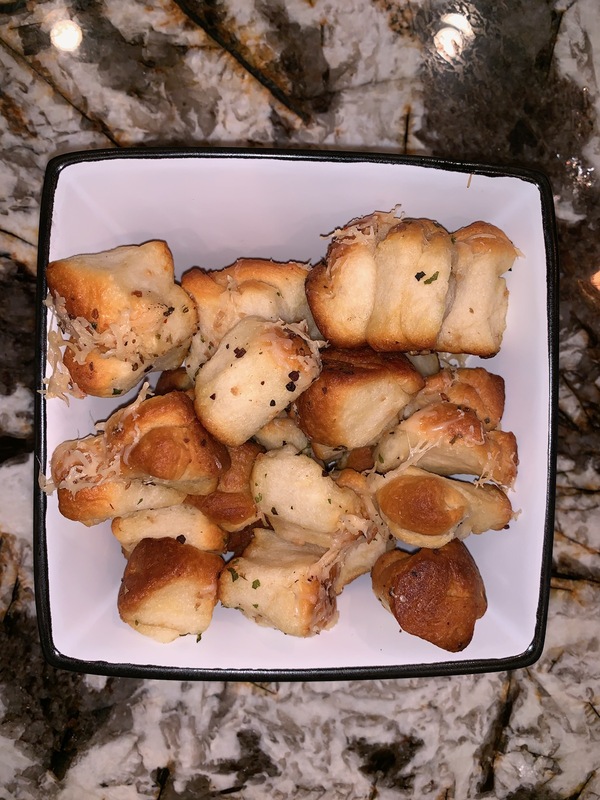 They taste amazing thanks to our “Bright Star” spice mix. You won't believe these are low calorie. 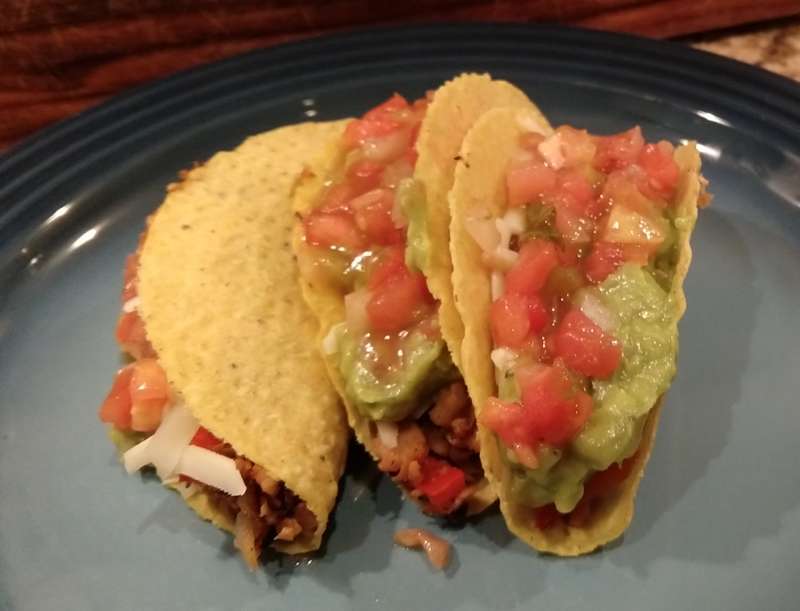 These are very satisfying, yummy tacos perfect for days when you need a low calorie dinner. We're talking 500 calories for SIX tacos. Add water & The Bright Star seasoning to a pot and bring to a boil. Add in TVP, reduce heat to a low simmer and cover. Let simmer until most of the liquid is absorbed (about 20 minutes). Stir occasionally. Heat up a frying pan with a teaspoon of olive oil, add peppers and onions. Sauté until soft. Add TVP, continue to sauté for 5 mins. Heat tacos in oven on a cookie sheet at 200 degrees for 5 mins. Serve with guac, salsa and shredded cheese. Who says Piri Piri is just for chicken? Ramp up your veggie side game with this delicious broccolini dish full of heat and flavor. Plus, the name is super fun to say! A full-flavor vegetable side dish for heat lovers. Drain water and mix brocolini & Piri Piri mixture in the bowl. Let sit for 10-15 mins.